Sinks are everywhere we go these days and we are so used to seing them in bathrooms that we often don't take the time to notice them unless the design is really innovative in a stand out way. 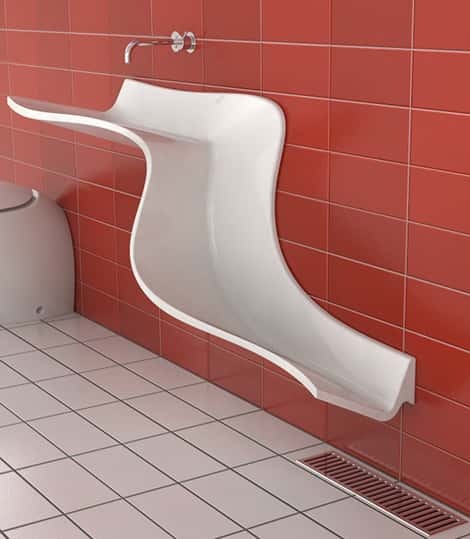 This is a collection of some of the most amazing, well designed sinks in the world. 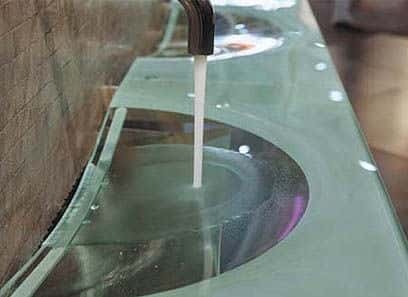 These are definitely not usual, boring sinks that go un-noticed! The following to images are of Abisko Washbasins that have been designed by Euman, the designs were inspired by the beautiful waterfalls at the Swedish National Park Abisko. An amazing cascading concept that utelizes a floor level drain ... fascinating! The following image is an image of a sink that has been designed in an attractive, modern and minimalistic fashion. It is called the Onda Washplane and was designed by Omvivo. 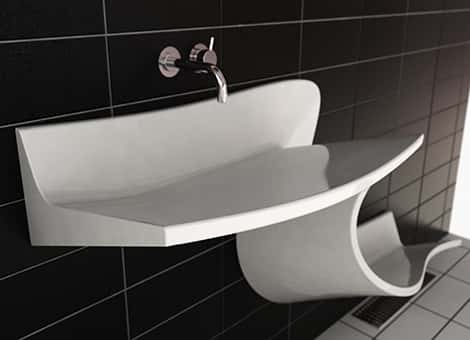 A very elegant concept with great water flow that is available in double or single as well as in many different colors. 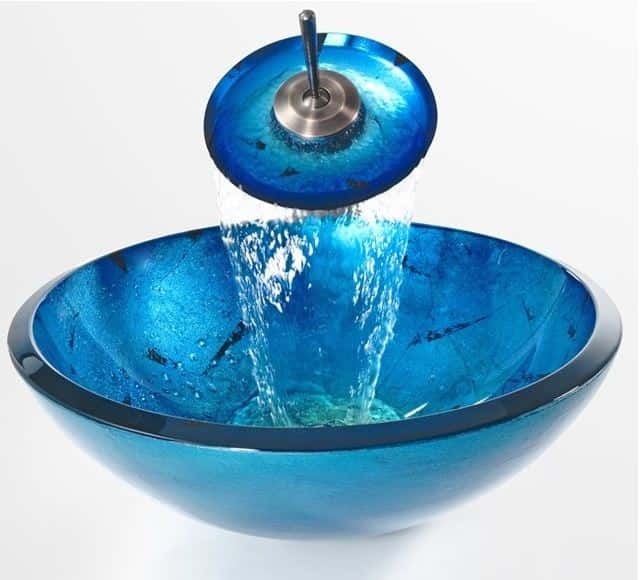 Below you will see the Kraus Galaxy Blue Glass Vessel Sink with waterfall faucet. An amazing, comtemporary design made from solid, tempered glass with an interesting color pattern. This sink was designed for the purpose of above the counter installation and is sure to add some vibrance and interest to any bathroom.